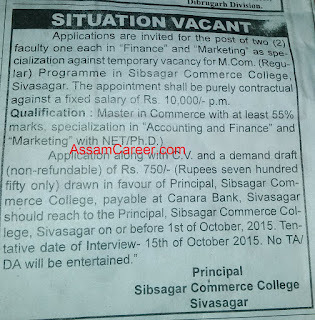 Applications are invited for filling up of the following faculty posts against temporary vacancies for M.Com Programme under Sibsagar Commerce College. Educational Qualification: Master in Commerce with atleast 55% marks, specialisation in "Accounting and Finance" and Marketing with NET/PhD. 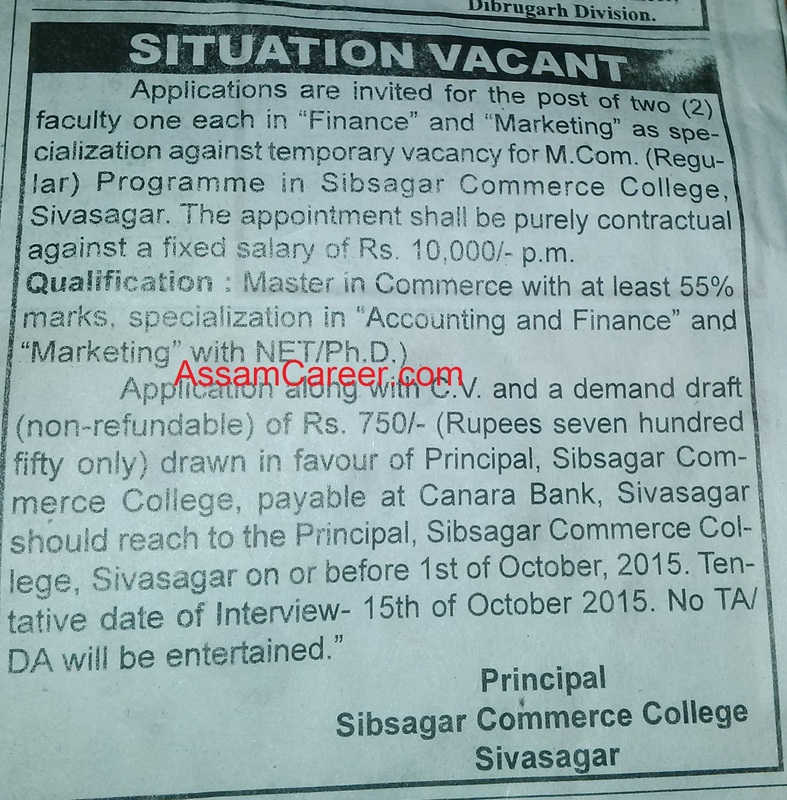 Fee: DD of Rs 750/- non refundable drawn in favour of Principal, Sibsagar Commerce College.